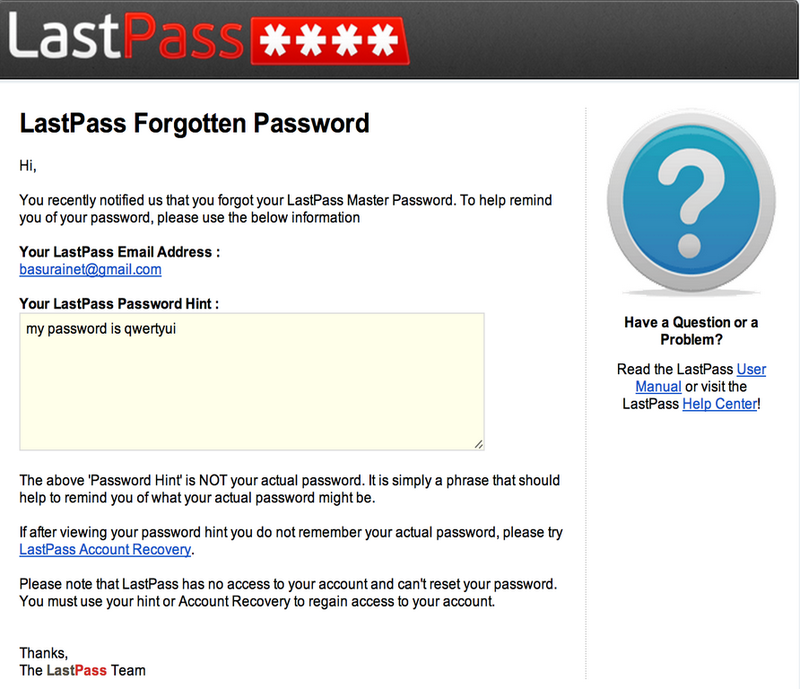 One of the advantages of LastPass is that your master password and vault are never sent in cleartext to their servers. That means that not even LastPass knows your passwords which in the NSA era is something to consider. LastPass encrypts and decrypts all your data locally in your machine using AES256. Data sent to LastPass is hashed with SHA256 and hardened with PBKDF2. You can find more information in their website. We decided to put our efforts into their API, the website and specially into reverse engineering the Chrome plugin. We found several issues that we reported to them and while they did not consider some of our findings, they did acknowledge some of them. I was surprised to find out the the master password policy is that it needs to be at least 8 characters long. That’s it! No mandatory uppercase, numbers, special characters, etc. Again, this is the policy for your master password, the one that protects all your other passwords. I think there is no reason to allow master passwords like ‘aaaaaaaa’ or ‘qwertyui’. actual password not to have password reminders. 2 factor authentication should be the way to go but LastPass has this option. While indeed, the reminder cannot be the password itself, we found out that it can “contain” the password. If your password is say, ‘qwertyui’, your reminder cannot be ‘qwertyui’ BUT it can be ‘my password is qwertyui’. This might be because they hash the password so there is no way for them to tell that the sentence contains the password unless they hash the words separately to compare first. While the reminder gets send to your email rather than being simply displayed in the website, if the email account gets hacked, one of the first things an attacker would do is to look for keywords like “password” to find emails regarding password resets, reminders, etc. As mentioned above, the master password gets hashed with SHA256 + PBKDF2 with a certain number of iterations. While security by obscurity is not a good thing, I believe that keeping the number of rounds secret adds extra protection. Anyone can check how many iterations where used for any user. It is worth noting that older accounts have the default rounds set to 500. With the power of the current desktop computer this is not enough nowadays. Steve Thomas points it out in this great post. Also, as explained in his post, you can see that LastPass “fixed” the problem with the first request being iterated just once by making it rounds publicly accessible which is what we reported. Newer accounts default to 5000 now which is better but I recommend you to check and update the number of iterations accordingly in the settings panel. (I had it to 500 and my account is only 3 years old). LastPass allows 2 factor authentication in several ways. It supports Yubikey, Google Authenticator, Keypass and others. We just focused on Google Authenticator as we believe it is the most popular and it is free. We realized that it was possible to obtain the QR Code to setup the Google Authenticator by just stealing the session id. This means that retrieving the 2 factor authentication QR code was actually bypassing 2 factor authentication! The main problem was that the request was not protected by prompting for the master password again. Sensitive actions like changing passwords, personal information and, in this case, activating/deactivating 2 factor auth, should always prompt for the password again. Best thing was that even if the victim would not have 2 factor auth enabled, you could still retrieve the QR Code. That would help in case the victim realizes that the account was hacked and activates 2 factor auth as counter measure. It doesn’t matter, the attacker has that already! Once we decided that we had enough material on the API, we moved on to the browser plugin. We worked specifically on the Chrome plugin but we are confident that all other browser work on the same code base. Alberto wrote a small script to help us understand what the plugin was doing. This script would add as the first line of every function some logic to print information about the method itself and the value of the parameters passed. With that, we had a chronological stack of function calls and their parameter values. These was a big help and helped us identify the interesting parts of the plugin logic. What caught our eye was what was happening when the user would click the option “store password”. This functionality provides the commodity of never having to enter the master password again as it will be populated to the plugin and you will be automatically logged in. We found that the username and master password was stored in a sqlite3 database in the system. This database is not encrypted and there is no need to be root to access it. The username is stored in cleartext but the master password is encrypted. Our next target was to figure out how it was encrypted and see if we could decrypt it. With the help of our script, we understood that the database was encrypted using 2 different encryption modes: AES256 CBC and ECB. I am not sure why they support ECB and we did not bother finding out or how the choice to use on or another was made. Once we knew how the password was encrypted, we had to find out how the IV and key was calculated and which was the data to be decrypted. It took us a while but finally we figured it all out. For ECB, the key is the email hashed to SHA256 and converted to binary as well and the data to be decrypted is the stored encrypted string. With all this information, we where finally able to obtain master passwords in cleartext. Woo hoo! Our attack only covers users that click the “Store my password” option though so, don’t store your master password! We decided to write a metasploit plugin so our research would be actually helpful to the community. This work is still in progress but we are close to send the pull request to metasploit. If you want to have a better understanding of everything explained here, checkout the source code of our module in my github repository, I tried to add comments and write the code as clear as possible. 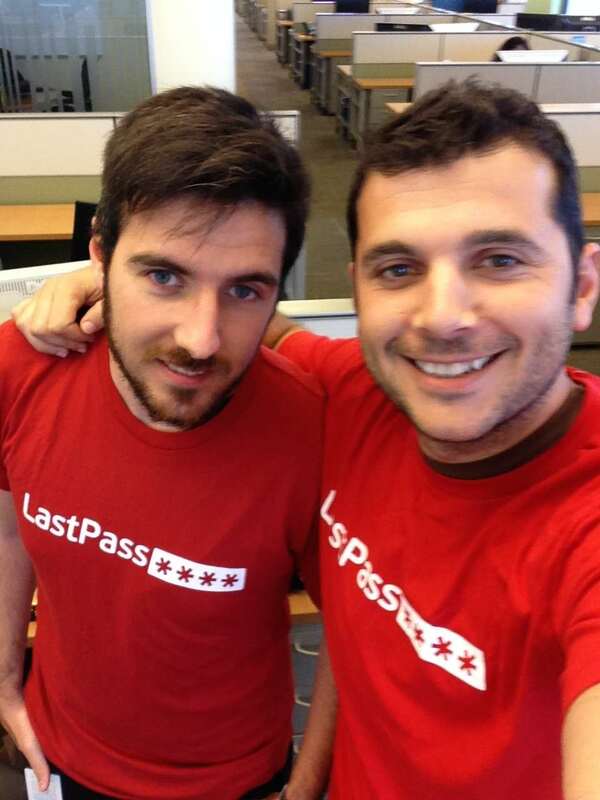 As always, we made a responsible disclosure to LastPass. I want to stress how easy it was to work with the security team. The where very responsive and worked on fixing the issues we reported immediately. They also followed up with us from time to time and asked for our thoughts on every fix. It was a real pleasure to work with team! Also, they showed their appreciation by adding us to their hall of fame and they also sent us some swag. Is it 100% true that they encrypt locally and therefore cannot access password data on their end? We’re not just taking their word for it – There is irrefutable evidence that this is the case? Because I love LastPass and hope it really is as secure as possible. Well, if not keeping an offline copy of the LP database somewhere, then the risk of being completely shut out of your accounts in case lastpass.com is brought offline for some reason needs to be taken into consideration. That is actually a very good point. I guess we have to consider now the risk/benefit here. How likely is that to happen and is it worth the risk of having a copy stored locally. I guess a middle point would be having a backup stored in an external HD so you have a copy of your vault encrypted but it is not present in a machine connected to the internet. I recently learned that some employers actively block access to lastpass.com, presumably to avoid the risk of employees storing work related passwords in the cloud. 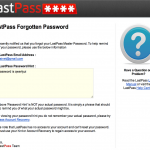 So, people within the corporate firewall who would like access to their LastPass info (e.g. for incidental personal use) do not have access to this unless they keep an offline copy. Then LastPass Pocket can access this encrypted file once you provide your LP credentials. No details about the encryption mentioned in the LP manual. Martin, have you looked into LastPass Pocket by any chance? Very interesting John, thanks for sharing! I was not aware of this feature and is definitely worth looking at. Respect to some employers restricting access to LastPass… that sounds a bit paranoid. The data is encrypted and LastPass has no access to the data nor your master password. Actually, an offline copy is way less secure that having it in the cloud in my opinion. It is always easier to hack a personal computer or loose the external HD where you store your encrypted copy than hacking LastPass servers. If they have some kind of local deployment (not sure if you can do that) then that’s different story but forcing your employees to keep local copies of your vault is not a good idea. Thanks for the due diligence. Password managers need this sort of constant peer review to remain viable. It’s an “all your eggs in one basket” kind of situation. 2 years ago I modified the Lastpass extension to steal the master password and on time password. Here is a video about that. https://www.youtube.com/watch?v=Bf2nYkn32DM I don’t think it can be fixed, though. What about extracting the master password from plugins that are logged in but not set to save the password? LastPass has an option to log out after X minutes, but if you don’t do that it stays logged in even after you close your browser. Have you investigated how this works and if it can be exploited? That is done by using cookies. You stay logged in because the plugin will send to LastPass the valid cookie, not the username:password combination. That will only happen when the cookie is not valid anymore. Originally, my Metasploit module was also stealing the session cookie in order to obtain the QR Code to bypass the 2Factor Auth but they fixed that now by prompting for the password again and warning the victim with an email. As for the master password stuff, I am glad they are not -enforcing- some stupid rules as I use a 24 char hex key (192 bits) that most systems would not accept as it is too insecure. Good Job. You explain what is the key, IV and data but you didn’t mention how they generate the key? Since they use base64 encoding, what is the method used for generation? I hope my question is clear. I may be missing something from your question but I do explain what the key is. It is the SHA256 hash of the email / username. Not sure what you mean by “how they generate it”. You mean the implementation in JS? Great write up. I landed here as a result of a search looking for more information on how the chrome plugin works. Not much out there on this. 1. Lastpass stores an encrypted copy of your Vault locally on your machine, I assume an authenticated last pass plugin decrypts this vault and is able to access username/passwords on demand. Could a malicious plugin installed on chrome have access to this data? You are correct about the vault been stored locally and that for decryption you need to be logged in. In order for a plugin to be able to get access to the vault, it would need access to the filesystem to extract the data I explain in the writeup. Another way would be that the plugin can access the DOM and steals the passwords when they are injected into the forms. One last case would be that the plugin can access the LastPass plugin but that should not be possible due to SOP (Same Origin policy). Take this data (along with the authenticated session id or cookie) and restore somewhere else on another computer, bypassing authentication and 2 factor auth?? I kinda answered this question above. If the plugin has filesystem access then yes for the files. You won’t be able to access cookies though due to Same Origin Policy. But the truth is, you don’t even need the cookies! For the second scenario I described above, wouldn’t a successful login using the master password or injecting an authenticated cookie be needed to decrypt the local vault if files are copied from another computer though? Sorry for the delay, I missed this last one. If you log-in successfully with the master password, that means you have the master password. And if you have the master password, then you have the encryption key. If you have the encryption key, you can decrypt the vault. Cookies are of no use in reality as in order to be able to see the vault content, you need to decrypt it first and the session id is unrelated to the encryption key. Very interesting read. I have been using Lastpass ever since they released the plugin. I notice that you warn of checking the option “remember password” in the browser plugin. I use the option in lastpass to only allow some computers to actually login to Lastpass. My home computer and my work computer are the only computers that can open Lastpass vault with the password and two factor authentication. Doesnt that mean that the attacker hast to sit at my desktop to use the master password? As I understand it I can even use my master password – once – with my two factor authentication (I use Transact) on a keylogging public computer at an internet café in Ukraine, or just givet it out to anyone, and it doesnt matter since after that the password only works on those two computers without the second verification by Transact (or google authenticator, the grid or the other two factor authentication options that Lastpass provides? There are couple things here. It is important to note that 2FA is not used or is part of the vault encryption. That means that someone with your password and the encrypted vault will be still able to decrypt it. Therefore, login in a public computer in ukraine is probably still not a good idea if that data is downloaded. 2FA only protects authentication but if the data is already on the computer then it won’t matter. Pingback: Even the LastPass Will be Stolen Deal with It! 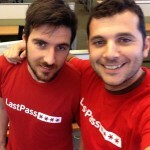 Pingback: TECNOLOGÍA » Even the LastPass Will be Stolen Deal with It! Got plenty of them, so thanks! can you work with me by phone or screen sharing on last pass? I wonder if you might have a recommendation for working out when Last Pass is installed and enabled in a given browser? I am finding that with complex web sites / applications, Last Pass is having a significant performance effect and at the moment the Last Pass team are only disclosing UI based ways to determine when LP is working. I want to do this by calling a feature of LP if possible. Additionally I would like to give the user the option to disable LP and re-enable it when they leave. Suspect that might be really tricky as I imagine that the Banks would already have done this if possible. A version number for LP would also be helpful if you know how to grab that. That would sort of address the problem I have although finding out whether LP is enabled might require a slightly different approach if the version number is still accessible when it is disabled.